100% Sugarcane molasses. Small amount of local red rice has been used in the process as trigger/booster to start fermentation (no ingredient). Herewith we declare that our Batavia Arrack is produced in compliance with Kosher directions on feedstock. Our “Batavia Arrack” is a distillate based on 100% sugar-cane molasses, produced exclusively on the island of Java, Indonesia, dated back to the 17th century. It’s comprised of a very specific range of Pot still distillates. It’s the “Rum of Indonesia”. The fermentation process includes the addition of local (red) rice; it is this, which sets it apart from Rum, although the base material is still sugar-cane. Distillation of our Batavia Arrack is carried out using very traditional Pot stills, adopting ancient Chinese distillers’ methods. Our Master Blender created a excellent product, aged in oak barrels up to 8 years, resulting in fantastic rich and deep flavors, lingering on the palate. Fermentation of the wash from molasses (sugarcane by-product), water and added local red rice, in wooden vats up to ± 8% abv. The ready wash is distilled in very old fashioned Pot-stills up to ± 30% abv. Second distillation in another pot-still up to 60-65% abv. The Batavia Arrack has been stored and shipped to Amsterdam. 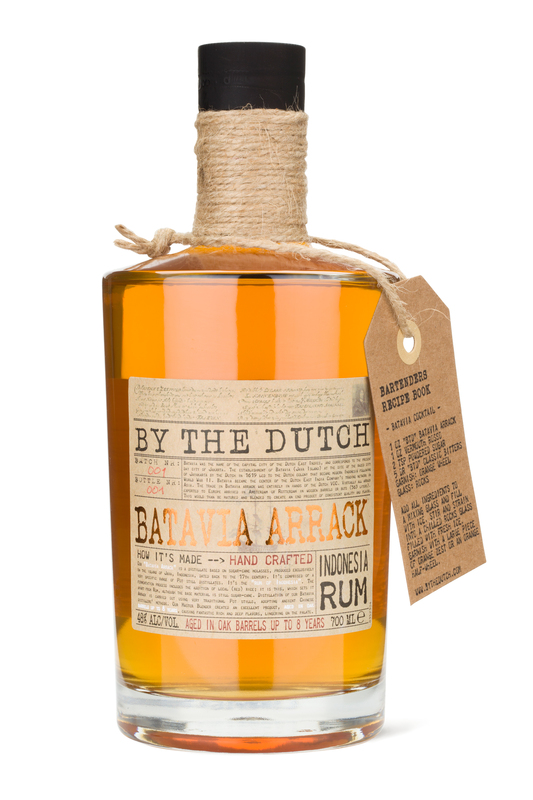 The Batavia Arrack is laid down in large oak casks in Amsterdam. The Batavia Arrack is blended according to an unique and secret recipe by our master blender and brought back to an abv of 48% abv.